A.E Thomson Ltd is a friendly and expert Independent Financial Advice business in Sutton, near Ely in Cambridgeshire providing corporate and personal financial advice. The company contacted us as their website was looking dated and tired. They asked us to create a new website creating a more user-friendly experience that looks contemporary with easily accessible content. Emerald Frog Marketing created a new website with new corporate photography that introduced the team and reflected the customer-centric and friendly nature of AE Thomson’s business across the local area. The website contains useful links to financial resources, testimonials and advice blogs. 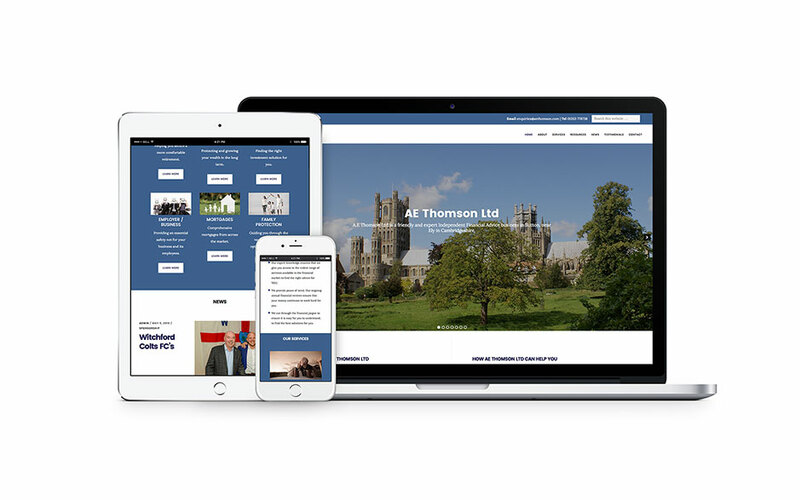 We provided full training on the Content Management System (CMS) of the website, allowing AE Thomson to take charge of their own blog and page updates with ease. Social media account cover images and accounts were created to give AE Thomson further social reach.